Brazilian Rubens Barrichello won the Italian Grand Prix on Sunday in a Brawn one-two to cut team mate Jenson Button's Formula One lead to 14 points with four races remaining. Barrichello trimmed team mate Jenson Button's Formula One championship lead to 14 points with four races left. 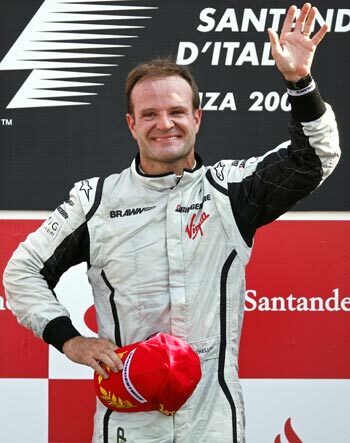 The victory, in an enthralling strategic battle played out between those on one-stop and two-stop strategies at Formula One's fastest track, was Barrichello's second of the season and 11th of his career. The Brawns, who have now won eight of 13 races and two of the last three, made just the one stop. They have 146 points in the constructors' standings to Red Bull's 105.5 and third-placed Ferrari's 62. Spain's double world champion Fernando Alonso took four points for Renault, a team rocked by race-fixing allegations, while Finland's Heikki Kovalainen was sixth ahead of BMW-Sauber's Nick Heidfeld. "On the lap after the chequered flag I had no words," said Barrichello, Formula One's oldest driver at 37, who had started the race with concerns about the reliability of his car's gearbox. "It just feels great. I'm going to give my best. It's going to be a good and healthy fight," he said of the battle ahead. 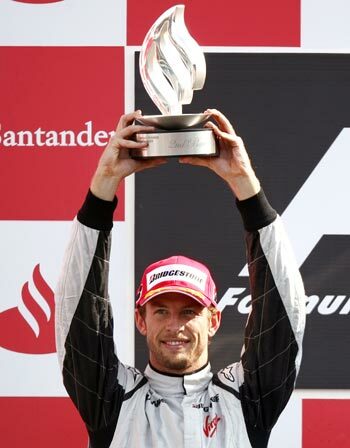 Button returned to the podium for the first time in six races with second place, 2.8 seconds behind the veteran Brazilian, with Kimi Raikkonen third for Ferrari after McLaren's world champion Lewis Hamilton crashed on the last lap. Hamilton had started on pole position but is now mathematically out of the championship chase. Button has 80 points to Barrichello's 66 with Red Bull's German driver Sebastian Vettel and Australian Mark Webber on 54 and 51.5 respectively. Hamilton has 27. Button's finish, with Mercedes-powered Brawn's fourth one-two of the year, was a firm response to critics who had expressed concern that he might be buckling under the pressure. "It's nice to be back up here," he said. "I'd like to be where Rubens is sat but he did a better job today. I've lost two points to Rubens but gained seven on Vettel. "We're going to take it I'm sure right down to the wire...for me it was a great result." Ferrari's Kimi Raikkonen lined up in third place for Sunday's race with fellow Finn Heikki Kovalainen next to him in a McLaren. 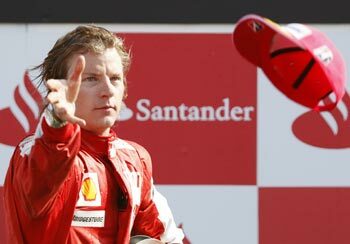 Raikkonen, who won the Belgian Grand Prix for Ferrari's first success of the season two weeks back, eventually finished third for his second straight podium finish. A pit-stop fumble cost Force India their second successive podium finish but Adrian Sutil took the chequered flag fourth to win five invaluable points. 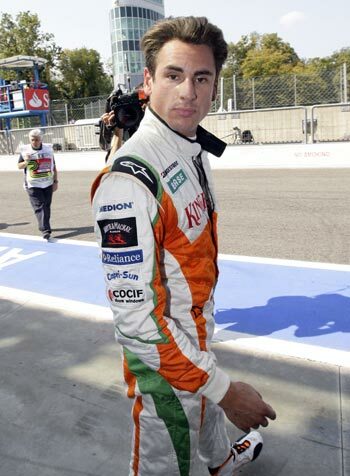 Starting second on the grid, Sutil could have done an encore of Force India's podium finish in Belgium but the German fumbled in his second pit stop, missing the mark and nearly knocking out two pit crew. His teammate Vitantonio Liuzzi had a heartbreaking debut as the Italian rose to fourth only to retire after 23 laps with a gearbox gremlin. 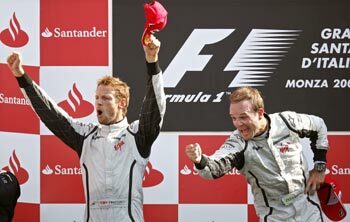 It was a one-two for Brawn with Rubens Barrichello beating teammate Jenson Button by 2.8s. Force India now have 13 points and the vastly improved outfit would now look forward to make the most of the remaining four races of the season.